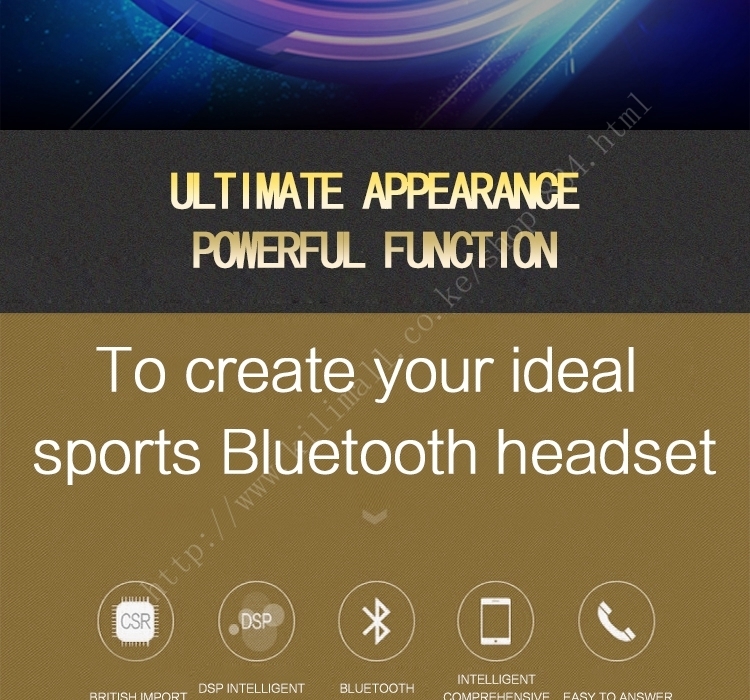 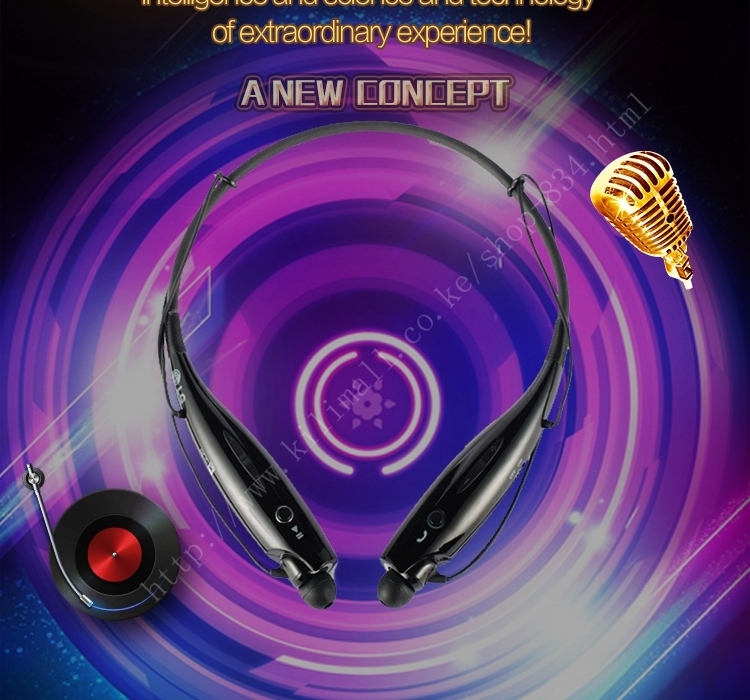 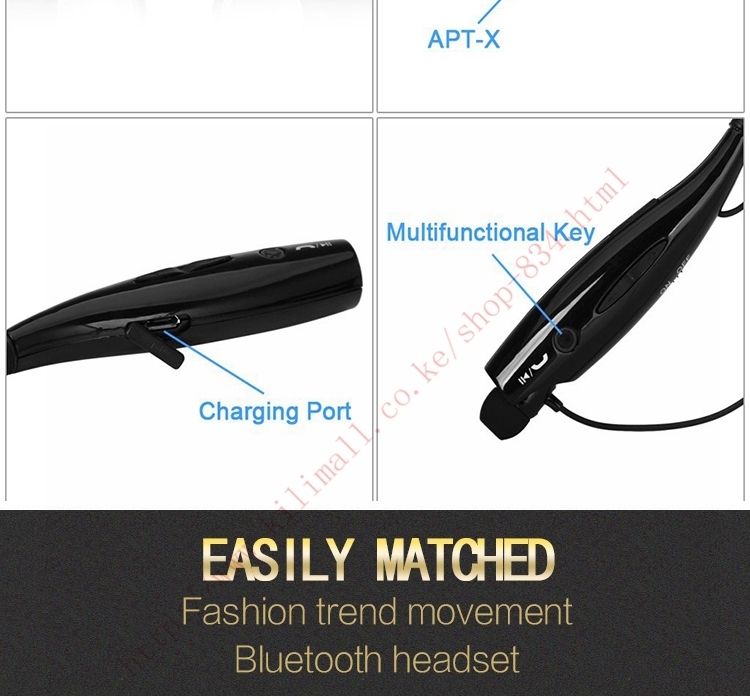 1-NEXT key: Bluetooth music player status as the next song, according to the next function, long press for the rapid increase in volume. 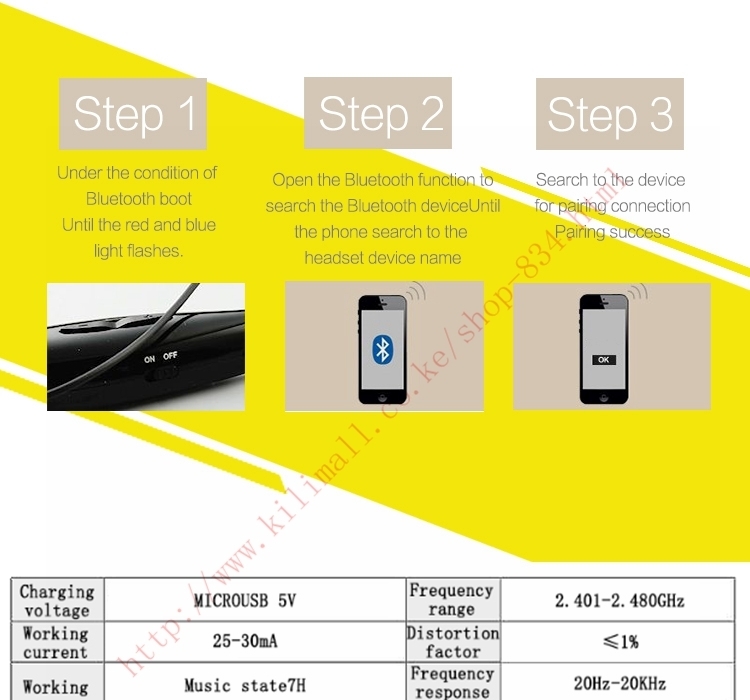 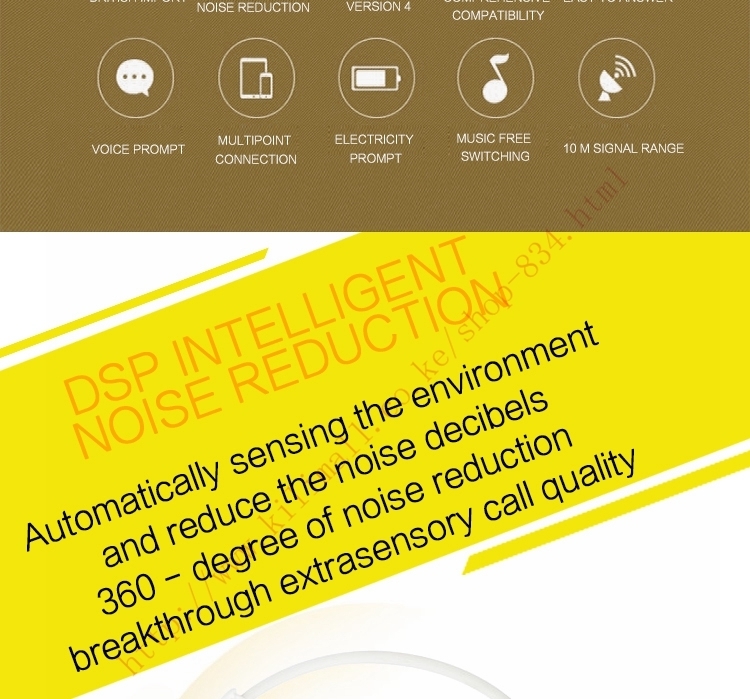 2-PREV key: Bluetooth music player status as a function of the previous song, long press to reduce the volume of the volume. 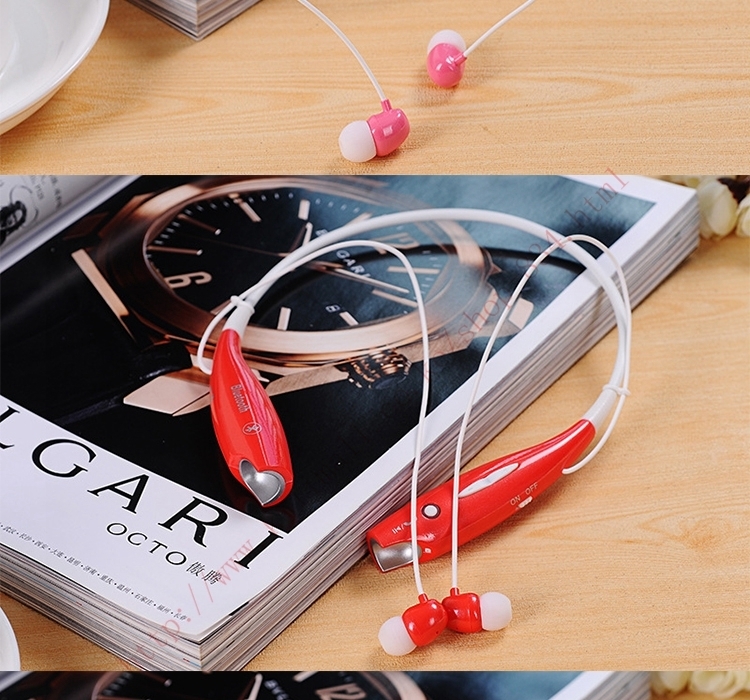 3- pull switch: switch to the ON position to boot, to enter the pairing state, the red and blue light flash; hit the OFF position. 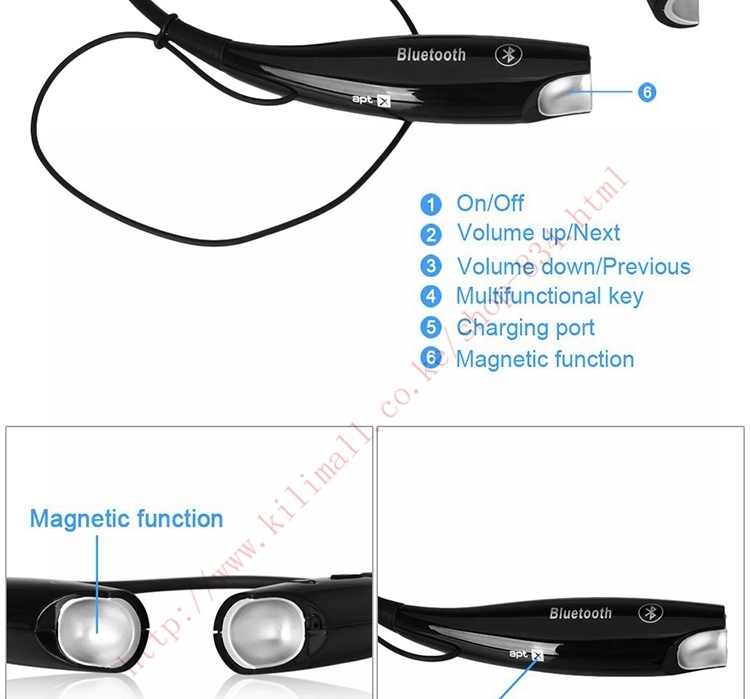 4- multi function key: long press 5 seconds to clear the original pair of good equipment back into the match state, red and blue lights flash; music playing short press play / pause, call state short by answering the phone, for 2 seconds long refused to listen to the phone, on the phone when the long press 2 seconds to switch mobile phone with Bluetooth headset conversion answer. 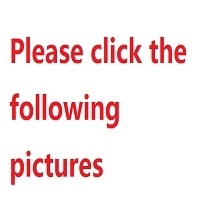 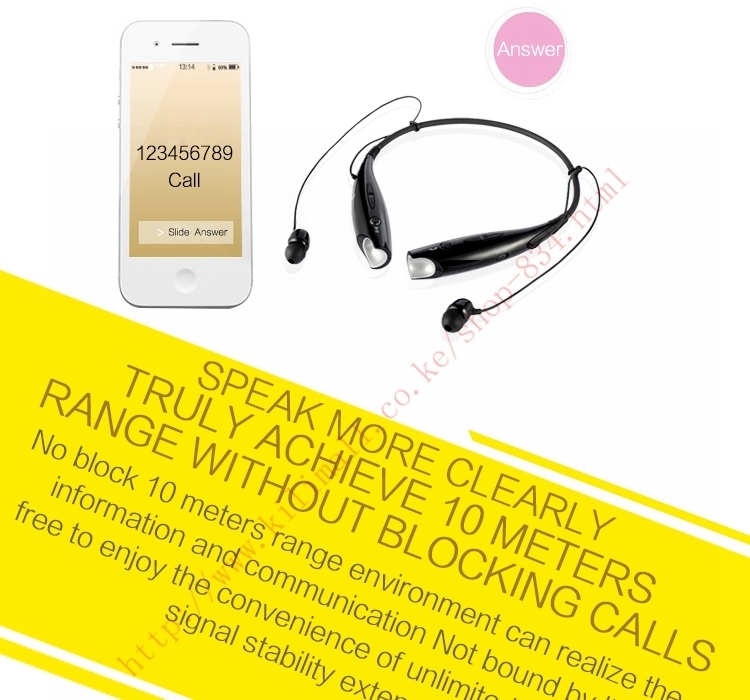 According to the key function of two continuous under heavy dial telephone. 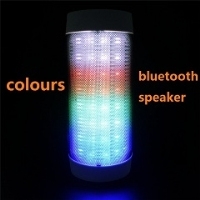 The first time when the switch to the ON position of the boot, for pairing, red and blue lights flash; then open your Bluetooth devices (such as mobile phone) to search, search the name for the HV-800, paired with this device, if asked to enter a password, please enter 0000; then confirm the success and the the product is connected, connected after the blue lights flash two every 5 seconds. 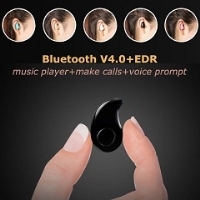 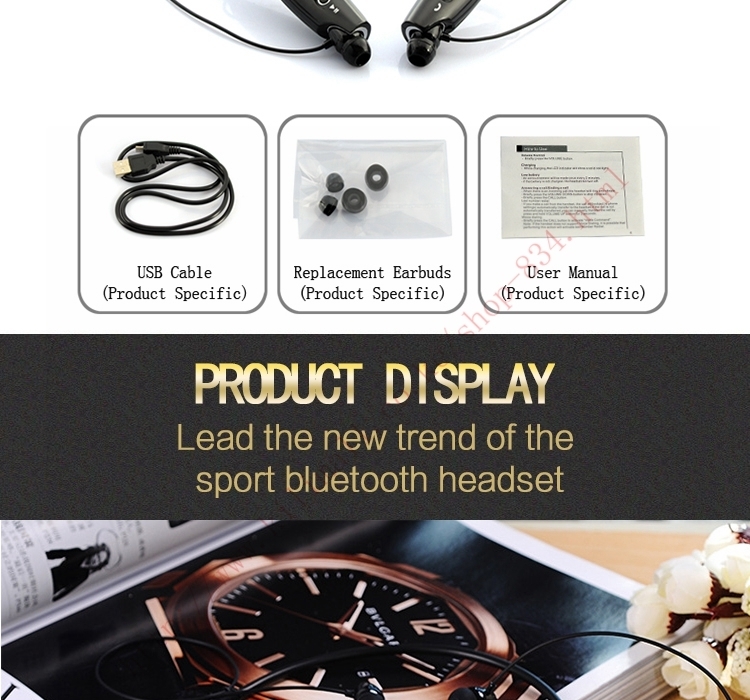 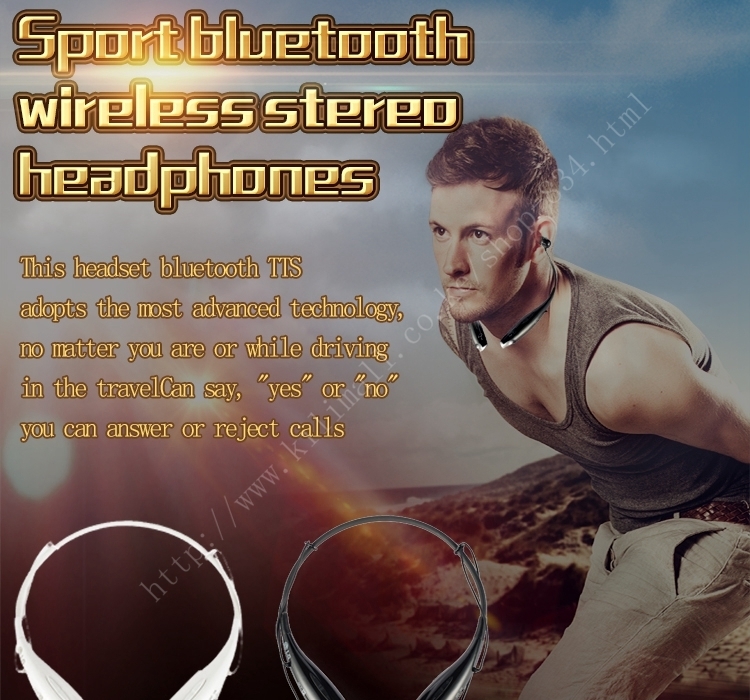 If you want to play music, short press the play key of this product, or turn on the Bluetooth device. 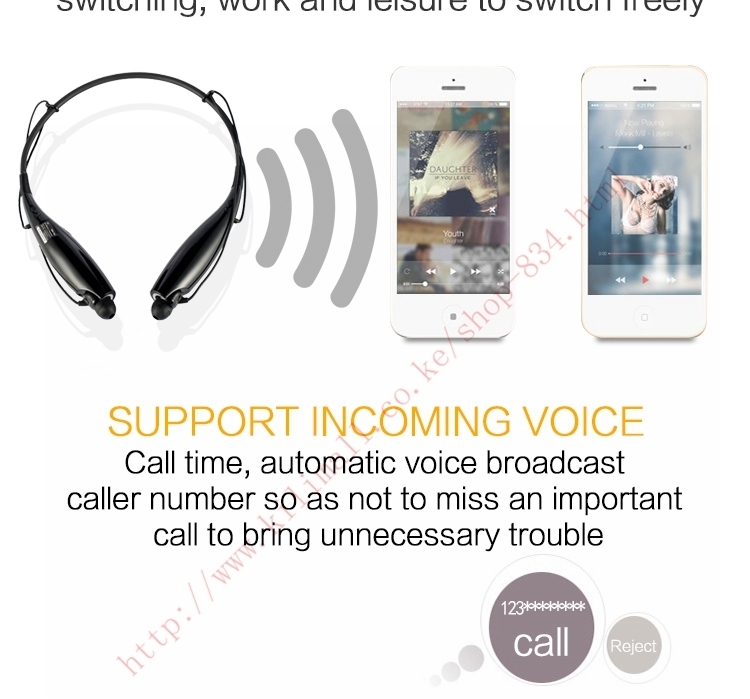 When the phone calls, short press the answer key to answer the phone, long press to refuse to listen to. 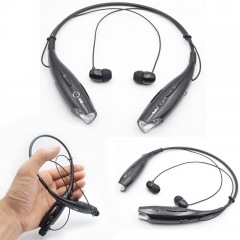 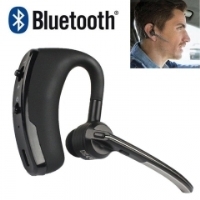 This headset features Unique around-the-neck design that's lightweight and comfortable for all-day use. 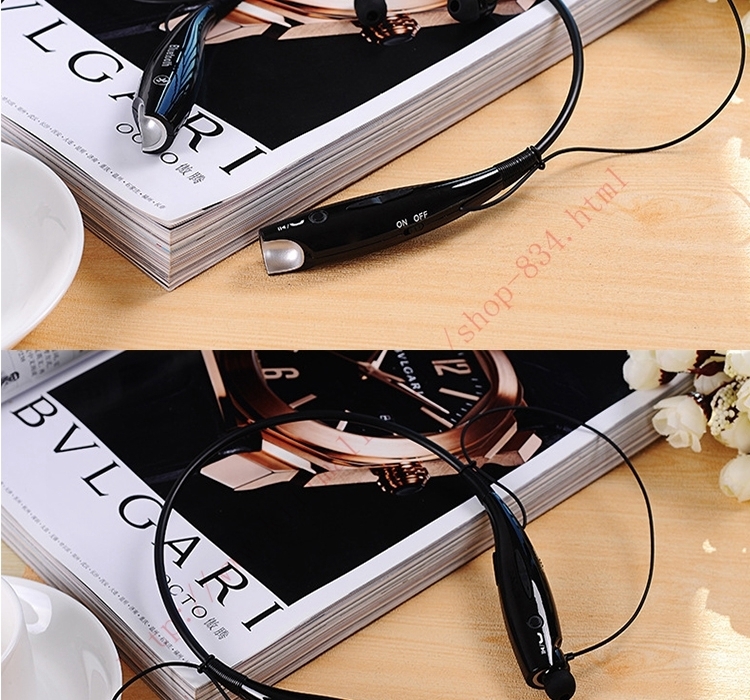 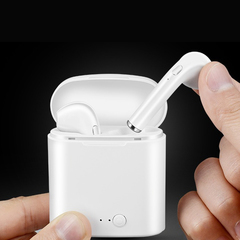 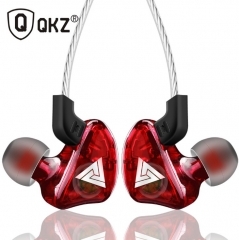 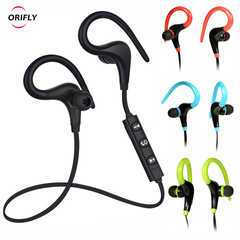 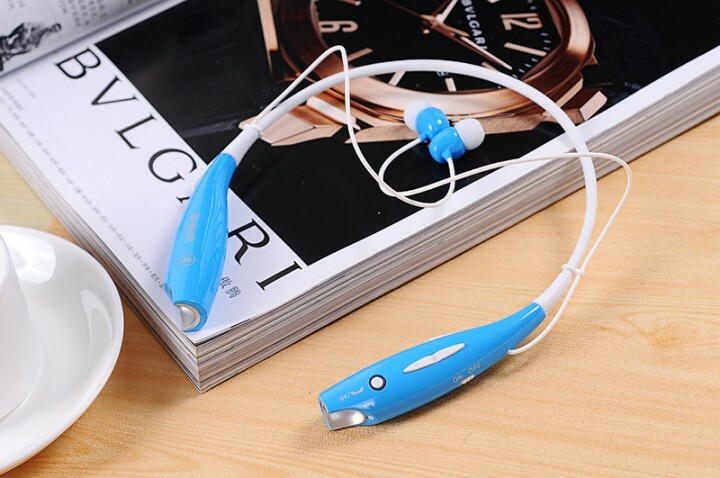 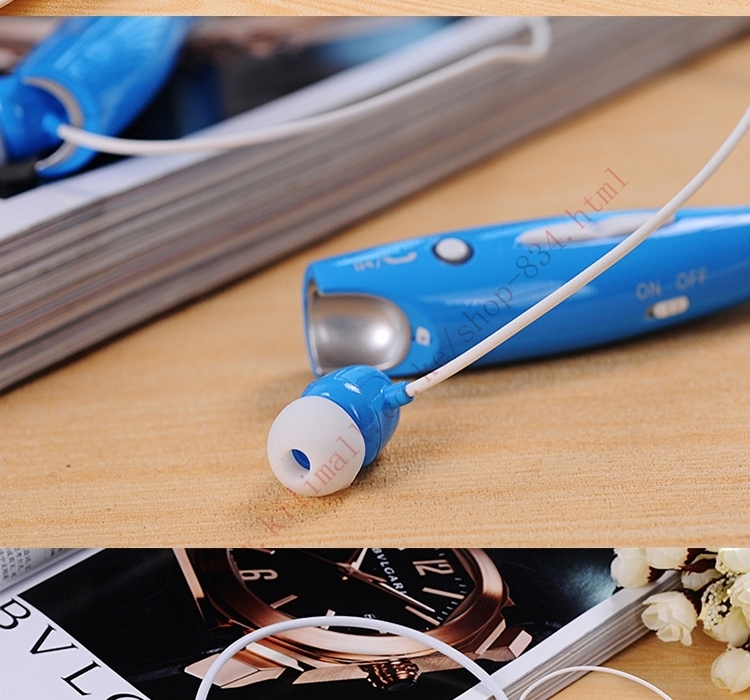 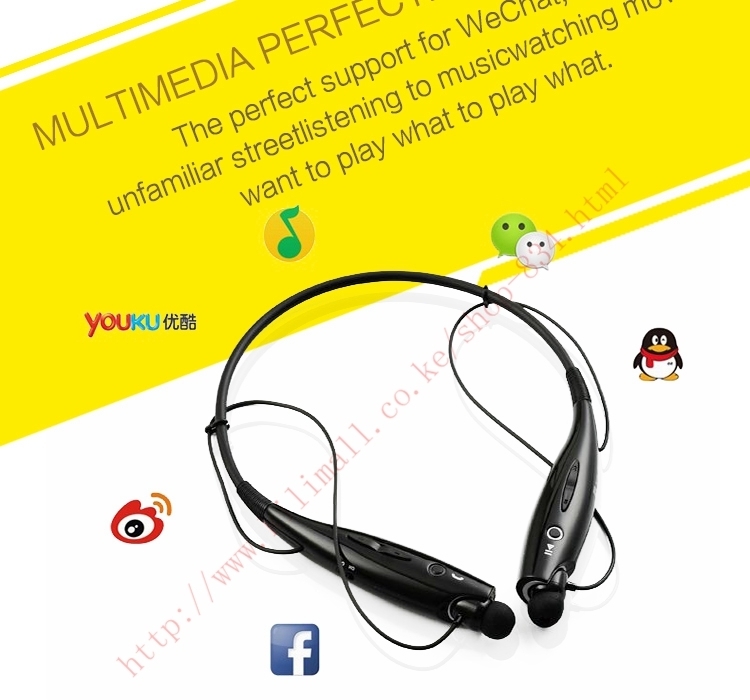 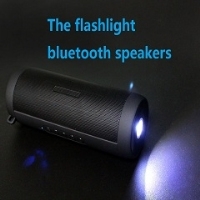 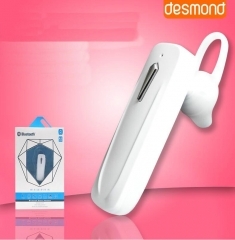 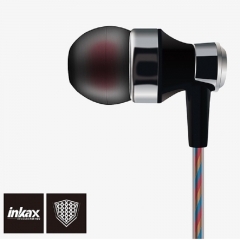 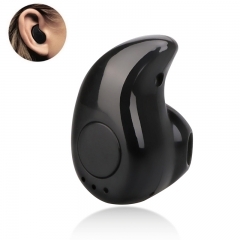 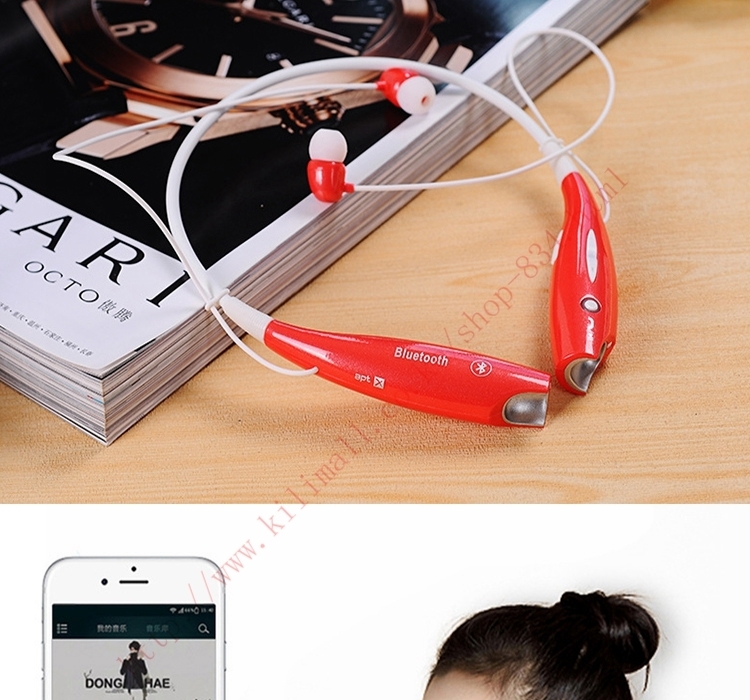 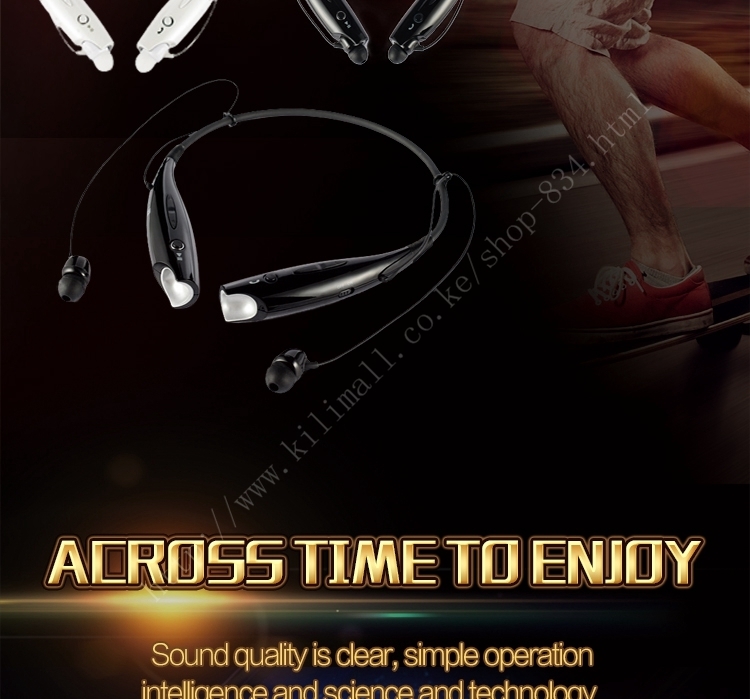 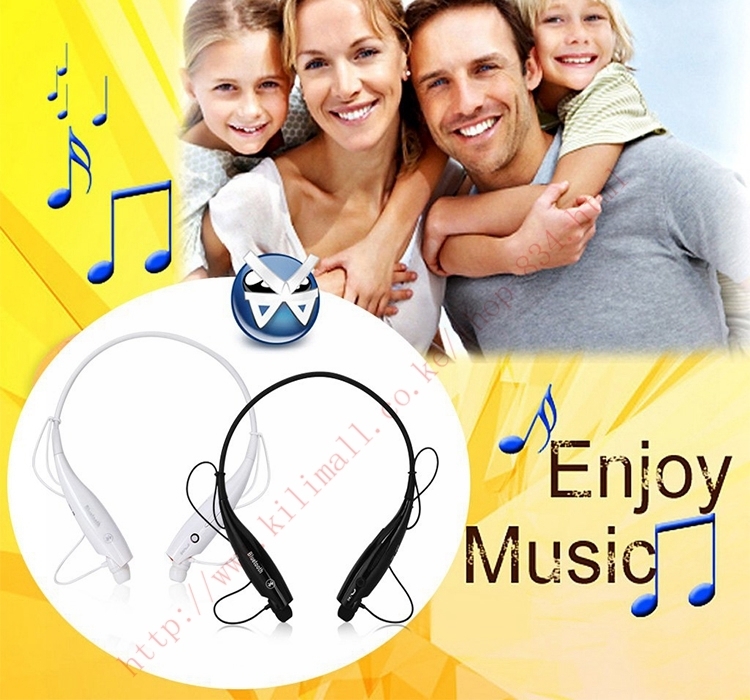 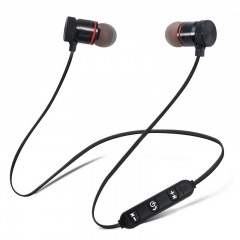 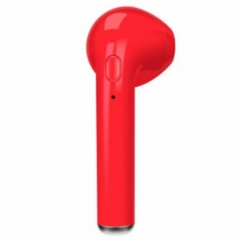 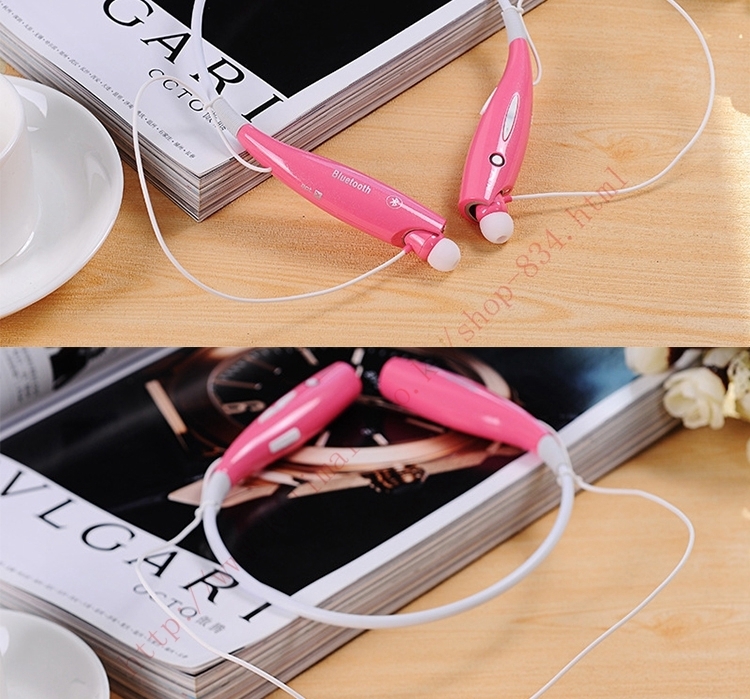 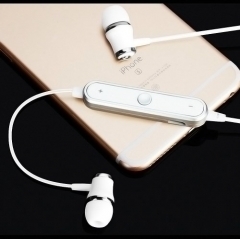 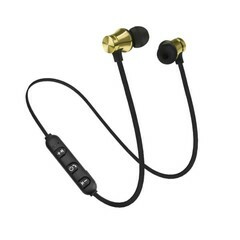 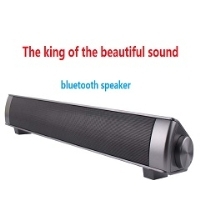 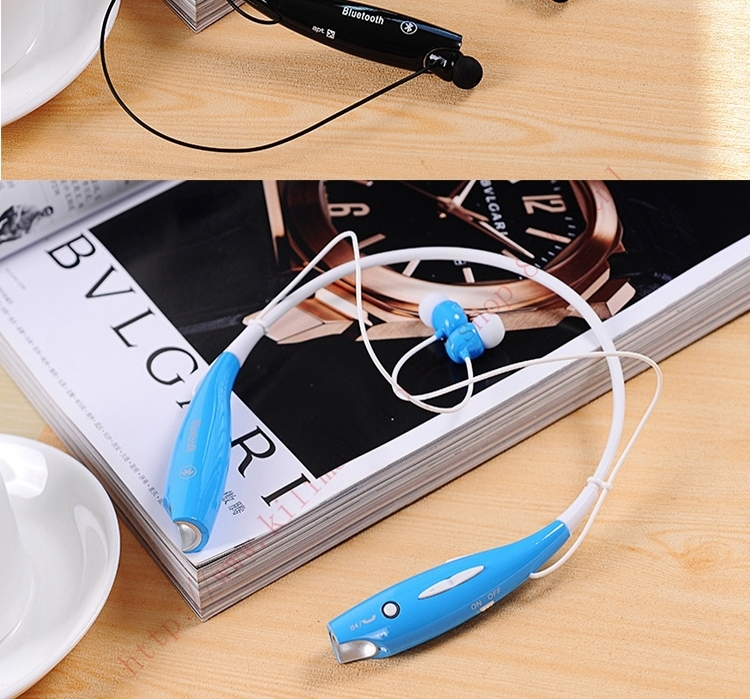 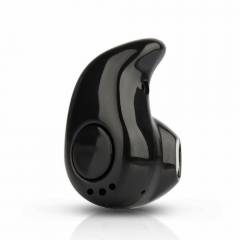 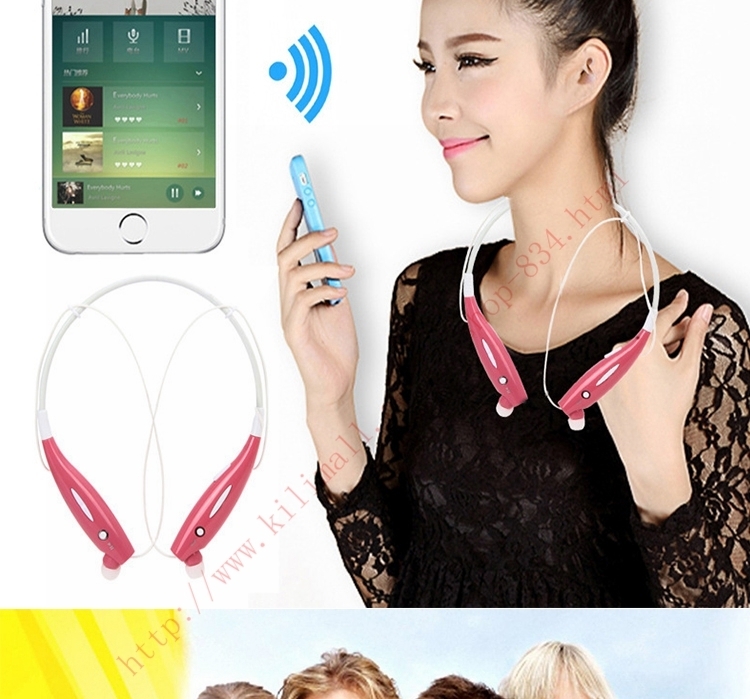 Ideal for listening to music & taking calls while on an early morning run! 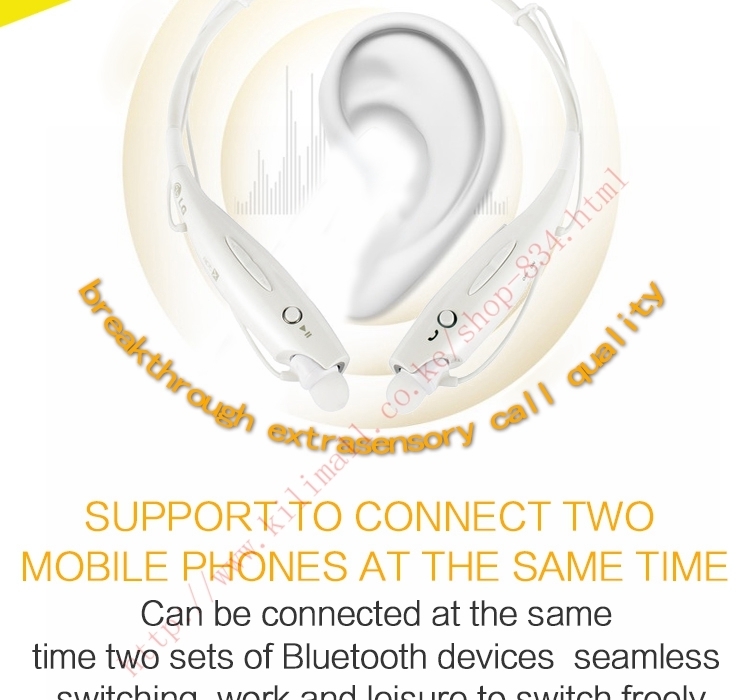 Support connect two cell phones at the same time. 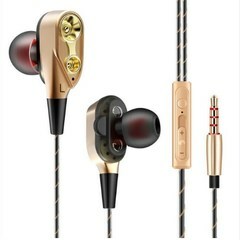 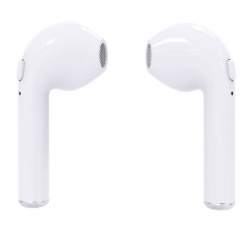 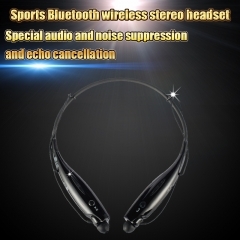 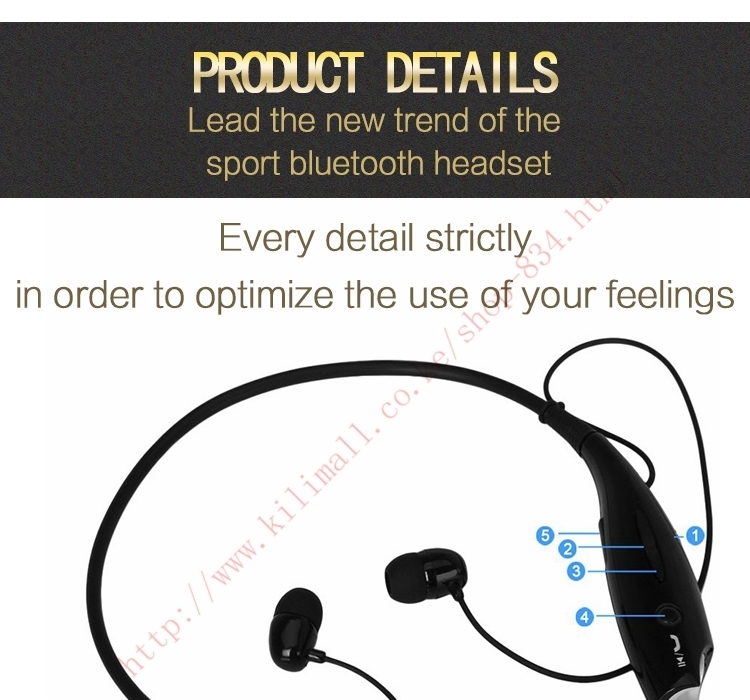 Exceptional audio with noise suppression and echo cancellation Magnetic ear buds snap into place when not in use; music controls on neck strap. 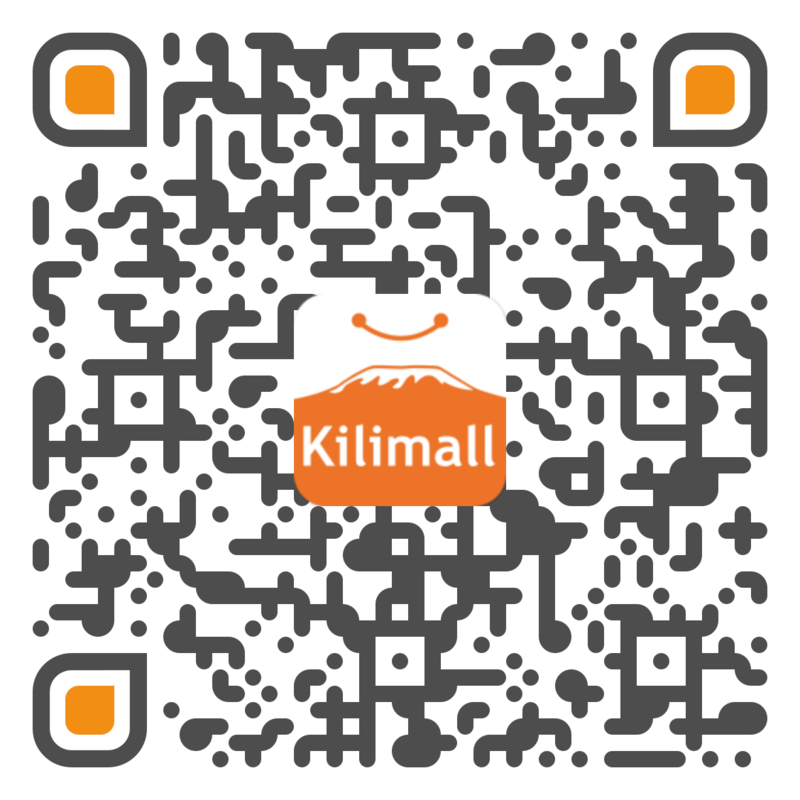 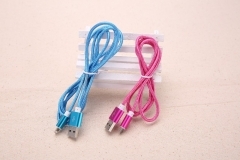 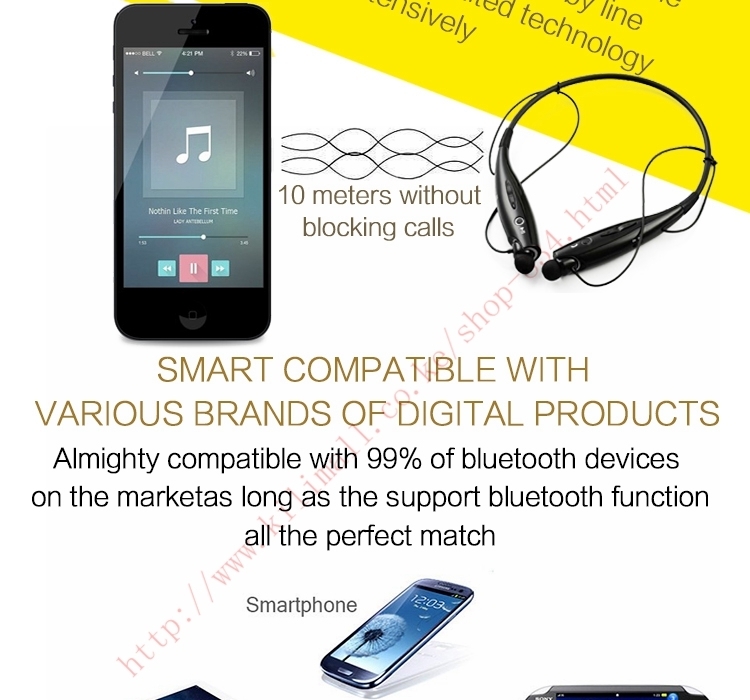 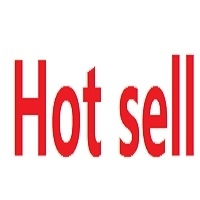 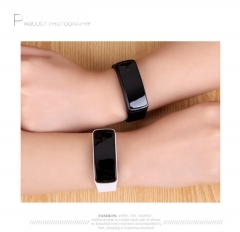 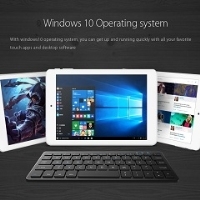 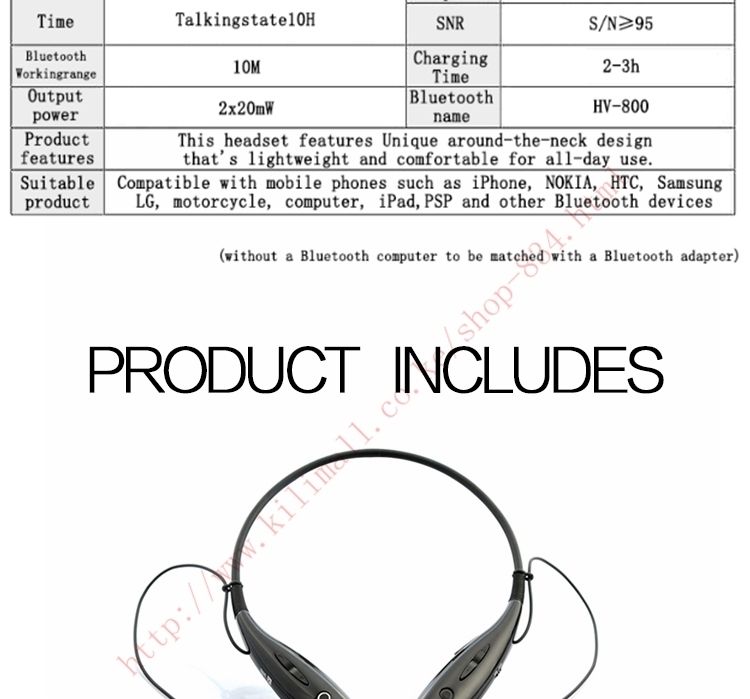 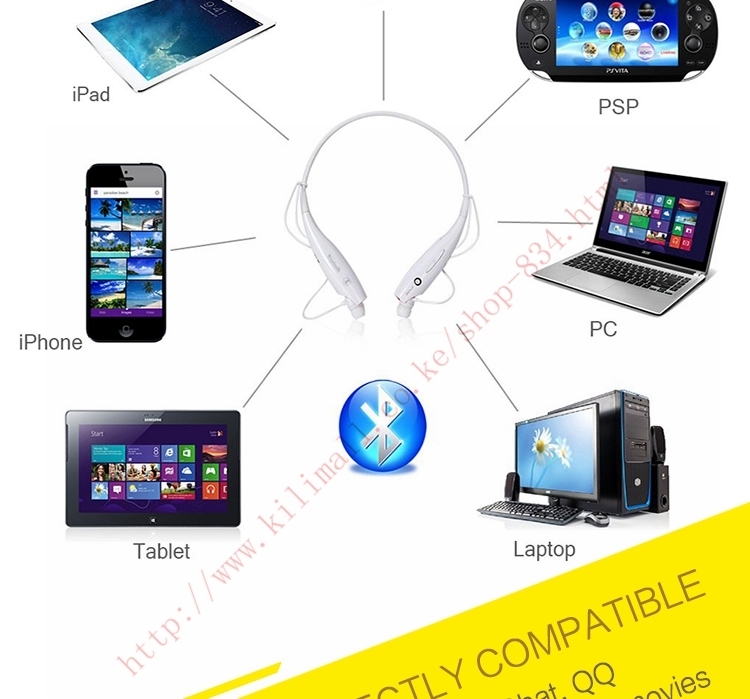 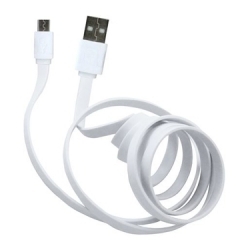 Compatible with phones such as iPhone, Nokia, HTC, Samsung, LG, Moto, PC, iPad, PSP and other Bluetooth compatiable devices.